Tom Petty Knows 'How It Feels' In this 2006 interview, he talks about his long career and how the radio meant "everything" to him growing up. 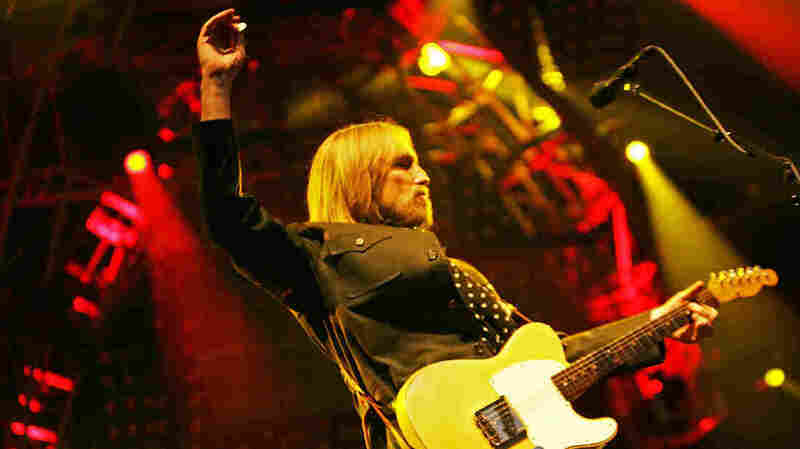 Tom Petty performs during the Outside Lands festival in 2008. The three decades Tom Petty has spent in the music business have led to this Sunday: a performance during halftime of the Super Bowl. In this 2006 interview, he talks about his long career, during which he and The Heartbreakers have sold more than 50 million records. The Beatles and The Byrds greatly inspired the young Tom Petty, who remembers the first time he saw The Beatles on the Ed Sullivan show. Petty discusses the fire, caused by arson, that burned his home down in the late '80s, and how it may have affected his song-writing. He recalls other hard times, including a period of depression in the '90s when he lived in a cabin in the woods. During that time, Johnny Cash and Rick Rubin invited Petty to play bass on Cash's comeback, American Recordings. The Heartbreakers ended up backing Cash his next one, Unchained, and Petty considers it some of their best playing. Petty goes into his belief that some of his songs have been important to other people. He says he doesn't want to sell them out if he doesn't have to, so he resists selling his songs to advertisers. This interview was first broadcast on July 27, 2006.